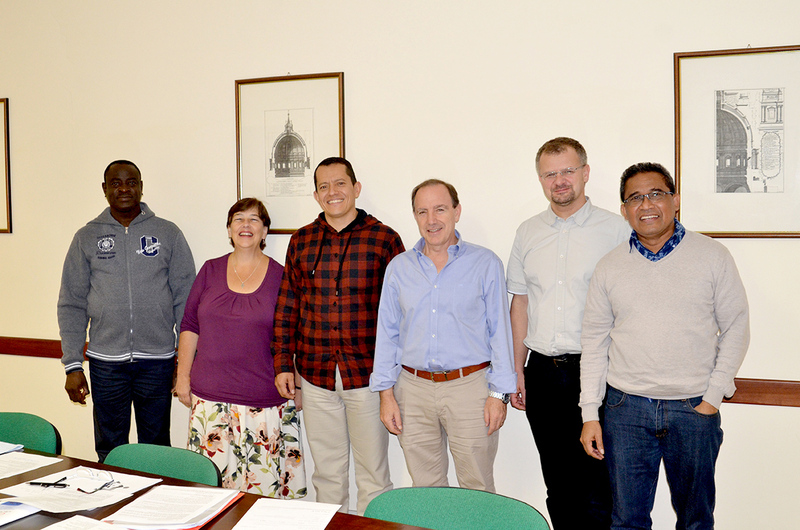 The members of the Secretariat are Fathers Pedro López Calvo, Sebastian Ani Dato, Nicolás Ayouba, Cristian Bueno, Pawl Drobot and Anne Walsh, a lay missionary of the Most Holy Redeemer. · The Commission for Africa and Madagascar coordinated by Fr. Nicolás Ayouba (General Government). Fr. Cristian Bueno is the Executive Secretary of this Secretariat (cssr.evangelizatio@gmail.com). The General Government, in its plan of action for the Six-year period, has proposed a vision that directs our action as a Congregation. For this reason he affirmed that “as members of the Congregation of the Most Holy Redeemer we follow” the example of Jesus Christ the Savior in preaching the Word of God to the poor, as He said of himself: He sent me to proclaim the good news to the poor “(Const. 1) We do this by” moving with missionary dynamism and striving to evangelize the most abandoned, especially the poor, in the pastoral urgencies “(Const 1). In order to do this, and following the mandate of the 25th General Chapter, and in line with the theme of the six years, the Congregation will continue the process of restructuring and develop apostolic criteria that will assist us in developing an Apostolic Plan that responds to the urgent needs of the more abandoned, especially the poor, of the Conference in which we live and work. Each Conference has created a Commission for the Apostolic plan and Restructuring of the Conference, in order to work on the priority objective (see above) in relation to its own Conference. On the other hand, the General Government has decided to create a General Secretariat for Evangelization to facilitate communication between the Conferences in the pastoral field, to generate ideas and pastoral projects, and to coordinate concrete aspects that can be carried out jointly. The General Secretariat for Evangelization, based on the objectives proposed by the General Chapter and the plan of action approved by the General Government, is intended to be an instrument for coordinating the evangelizing activity of the Congregation, facilitating communication between the Units and the Conferences in the field of evangelizing action, coordinating joint actions and generating ideas and possible common actions that help heal the wounds of so many of our brothers. 1. To help revive a missionary conscience among the members of the Congregation and in the different Units. 2. To share missionary experiences and formation among the different Units more widely. 3. Promote and facilitate the exchange of personnel and resources to respond to the most urgent pastoral needs. 4. To foster a new conscience in the Congregation that is committed to the missionary and evangelizing pastoral ministry, which promotes shared mission, solidarity work with the most needy, and priority attention to young people. 2. Creation of a an Office for Shared Mission, with a lay leader in charge, and with the support of a Commission formed by members of each of the Conferences. 3. Creation of an Office for Social Pastoral, Justice, Peace and Integration of the creation, with a person in charge, and with the support of a Commission formed by members of each of the Conferences. 4. Creation of a PJVR Commission with presence of members of all Conferences. 5. Creation of a Commission for Africa and Madagascar attended by members of all Conferences. 1. Each of the Commissions and Offices that are part of the Secretariat of Evangelization will work in close communication and collaboration. 2. The Secretariat for Evangelization will have a fluid communication with the Commissions for the preparation of the Apostolic Plan of each Conference. 3. The General Secretariat for Evangelization will work in close collaboration with the Secretariats and / or Commissions of the Conferences and will endeavor to have close communication with the confreres working in each respective field. The Secretariat for Evangelization will meet once a year. The Commissions shall meet at least once a year. The Secretariat wishes to be able to collaborate with all the General Secretariats and various Centers of the Congregation. The Secretariat for Evangelization is an instrument created by the General Government and at its service. Hence a fluid communication between the two is necessary.